The rapid expansion of urbanization coupled with the flourishing of sectors such as manufacturing, service, transportation and construction gave way for the increase in job opportunities for migrating unskilled rural labor. The rise of income in urban centers also brought the changing of way of life in the city. The government could also collect a handsome amount of revenue and increase its expenditure which in turn propelled economic growth and better living conditions. These are some of the developments which indicate the positive outcome of urbanization. The expansion of industries in the city began in the 1930s during the brief occupation of Italian fascists and most of them are still functioning. In later decades urbanization and industrialization went hand in hand. Most industries and Garadjes established in the nearby riversides without regarding the municipal aspect of the city, draining their waste to the rivers which inevitably threatened both human and environmental health. Some industries are outdated and use obsolete machines which release a disturbing noise both during the day and at night. Grinding mills set up in the nearby residential areas also have similar effects. A good number of transportation vehicles have served more than 20 years and are the number one air and sound polluter. 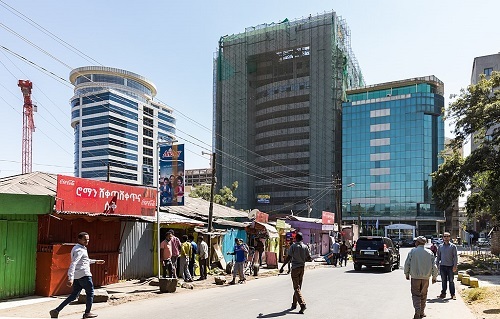 In Addis Ababa though sound pollution is not regarded as a threat to health by many, but it has been affecting citizens’ lives. Studies have shown that road and air transportation, manufacturing, music shops, dogs, night clubs, sound advertisements and religious institutions are categorized as the major sound pollutants. Ato Birhanu Abera is working in Addis Ababa’s Environment Protection Authority as a researcher on sound pollution. According to him, sound pollution is an unnecessary sound which has a negative impact on human physical and psychological health. The Ethiopian constitution and the proclamation of the Federal Environment Protection Authority clearly reveals that citizens have the right to be protected from any sound pollution and some of the regulations derived from the proclamation state that a person who makes a sound beyond the average decibel has a legal liability. The law states that for residential, commercial and industrial places the rate of sound during the daytime is 55, 65 and 75 decibels respectively, whereas it is 45, 57 and 75 decibels at night. The formulation of rules and regulations is a good thing, but implementation and enforcing is more vital and in this regard the public which knows its rights and duties must back the laws. Ato Munir Ali is a manager of Rural Integrated Development, a non-governmental organization. According to him, sound pollution has a negative impact on human and animal health. The elderly and children are the most protection needy segment of the society, yet they account for most victims of sound pollution. The elderly, when they hear the high volume of vehicle, through fear eventually become a victim of car accidents which leave them wounded. Children also encounter terrible sounds of clacks nearby to their school compound. Because of this phenomena they become disturbed and succumb to night sickness and unusual disruption of sleep and nightmares. Munir further noted that unwanted sound aggravates health risk and it’s cost. It can case mental illness, heart attack, deafness and affects normal kidney function and ultimately shortens the lifespan. Workers who don’t get enough rest at night were found to be fatigued and restless and became inactive in their workplace, as a result, incurring an economic loss to the organization. Mental and psychological illness due to sound pollution also needs expensive treatment which is not affordable for most victims. Unwanted noise also disturbs the normal living of animals. Wild animals like birds and other mammals living in the surrounds of the city migrate to this unknown destiny and according to scientists these in turn negatively affect the ecosystem. The pollution was also found to antagonize the normal life of domestic animals. Woizero Meseret Fakdu is a resident in Nifas silk lafto woreda, around Saris and works as civil servant. When asked whether there is sound pollution in her residential areas, she stated that at night unwanted sound released from night clubs disturbs her sleep. She also mentioned that the sound from the high volume of airplanes at night makes her even more restless. However, the community in the area, due to being unaware of the rights to live free of sound pollution, did not defend their rights. Ato Solomon Teffera also shared the above mentioned comment. He resides in a place known as Dejach Wube Sefer. There are many night clubs side by side with the residential areas. At night there is a high volume of music from bars disturbing the area. Patients spend the night painfully in their beds. Students are unable to engage in their studies properly. The elderly also complain that their night time is full of stress. According to Solomon some residents appeal the case to the pertinent officials at the Kebele level but the problem is still unresolved. Regarding the law enforcement on sound pollution, Ato Abera said that there are some cases that are addressed administratively and corrective measures are taken yet the government’s approach focuses on discussion with the concerned stakeholders for awareness creation to society. 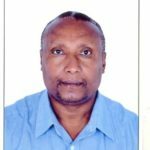 In the case of air transportation Abera said that there is an international convention on containing sound pollution and the Ethiopian air transport authority is aided by this convention. Nowadays air transport business all over the world is flourishing side by side with this, it faces fierce competition and among the criteria to get an advantageous position in the market is serving the customers and residents with reduced airplane sound. Considering this, many European countries are trying their level best to contain their industries’ sound. According to Munir the Germans are now devoting their time and energy to avoid sound pollution both from road and air transportation and industries. To that end they spend billions of dollars for research but he said that in our context applying scientific innovation for the elimination of sound pollution in industries is very expensive and unaffordable. Thus, the only option that remains at hand is awareness creation for the public. In Addis Ababa and other major towns the case for sound pollution on road transportation is the obsolete nature of the vehicle engine and techniques. As to Munir, if efficient and upgraded techniques are applied on engines the most disturbing noises can be avoided but agencies that are authorized to inspect the technical aspect of the vehicles did not perform as to what they were required to perform. In summary, the enhancement of urbanization and the development of industrialization have a tremendous impact in modernizing citizens’ lives. Furthermore, these play a crucial role in economic growth. To sustain these however, both sound and air pollution must be reduced, if not, the achieved result might be compromised.